Introduced to Cuba in 1866, and played professionally there since 1878, baseball is an integral part of the island nation&apos;s culture, and the list of great Cuban ballplayers is a long and immensely colorful one. Unfortunately, thanks to the U.S. economic embargo against Cuba, relatively few of them have been able to strut their stuff in the major leagues during the last half-century. But President Obama&apos;s surprise announcement this week of a "new chapter" in U.S.-Cuba relations, which would include the lifting of the trade embargo, potentially opens up a new chapter in Major League Baseball, as well. That&apos;s all in the future, of course. So, with a tip of the cap to "El Inmortal," Martín Dihigo – who never got a shot at the majors – here&apos;s our list of the greatest Cubans to play in the bigs thus far. 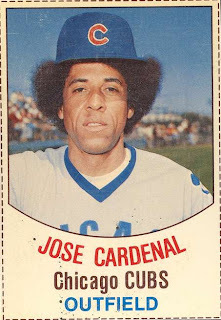 The cousin of José Cardenal (who wasn&apos;t quite as good a player, but who did sport one of the biggest Afros in MLB history), Campy was a six-time All Star shortstop whose fire and speed – he led the AL in stolen bases in six different seasons, and swiped 649 over his 19-year career – provided the spark for the Oakland A&apos;s dynasty of the 1970s. He also memorably chucked a bat at Detroit Tigers pitcher Lerrin LaGrow during the 1972 ALCS, after LaGrow was ordered to plunk him by Tigers skipper Billy Martin. While this erstwhile "Bash Brother" has seemingly done everything in his power to shoot his reputation in the foot (or hand), the Havana-born Canseco was unquestionably a feared slugger in his day. The AL&apos;s 1986 Rookie of the Year and 1988 MVP (when he became the first player to hit 40 home runs and steal 40 bases in the same season), Canseco socked 462 career homers, made the All-Star team six times, and provided us with numerous moments of unforgettable hilarity. The only Cuban-born member of MLB&apos;s elite 3,000-hit, 500-homer club, Palmeiro may never make it into the Hall of Fame, thanks to his alleged use of steroids and other PEDs. Though it certainly synced up with the height of the &apos;roids era, Raffy&apos;s ten-year peak from 1993-2002 – when he averaged 40 homers and 115 RBIs a season with a .942 OPS – was still pretty damn impressive. A five-time All Star pitcher for the Washington Senators and Minnesota Twins, Pascual – nicknamed "Little Potato" – utilized a devastating curveball that enabled him to lead the AL in strikeouts three times during the early 1960s. He averaged 17 wins a season from 1959 through 1964, including two 20-win seasons. "The Pride of Havana," as the 5&apos;7" righty hurler was known, was the only Cuban player to achieve MLB prominence in the pre-integration days; his light skin allowed him the playing opportunity that was denied his darker countrymen. In 1923, when he went 27-8 with a 1.93 ERA for the Cincinnati Reds, Luque became the first Latin 20-game winner in MLB history, as well as the first to lead the majors in wins and earned run average. Described by Hall of Famer Jim Palmer as "arguably the best left-hander in the game from 1969 to 1974," Cuellar won 125 games for the Baltimore Orioles during that period (including four seasons of 20 wins or better), averaging 19 complete games per season and a 2.99 ERA; in 1969, was named co-winner of the AL Cy Young Award with Denny McLain. Nicknamed "Crazy Horse" because of his many rituals and superstitions, Cuellar always ate Chinese food the night before he pitched, wore blue suits while traveling to games in other cities and refused to accept a thrown ball from a teammate at the beginning of an inning – he would only pick it up off the ground. Though only fully active in 11 of his 15 major league seasons, the Minnesota Twins star made the most of his time in the bigs, winning the 1964 AL Rookie of the Year award, leading the AL in hits five times and winning three batting titles. Oliva, who was voted onto the AL All-Star team in eight straight seasons from 1964-71, narrowly missed making the Hall of Fame in this year&apos;s Golden Era Committee vote. The only Cuban major leaguer currently in the Hall of Fame, Perez (an All-Star at both third and first base) was a cornerstone of Cincinnati&apos;s Big Red Machine, averaging 26 home runs and 103 RBIs per season from 1967 through 1976, and helping power the Reds to two consecutive World Championships in 1975 and 1976. Many believe that the Reds blew their chance to extend that streak by another ring or three when they traded "The Big Doggie" to Montreal at the end of the &apos;76 season. MLB&apos;s first Latin superstar, Miñoso was one of the most exciting players of the 1950s and early 1960s, leading the AL in triples and stolen bases three times, winning three Gold Gloves in the outfield and posting a .298/.389/.459 career slash line. He returned to the majors in 1976 as a coach for Bill Veeck&apos;s Chicago White Sox, and – though he was fifty at the time – wound up DHing for three games that year, becoming one of the oldest players to hit safely in a major league game. He also made professional appearances in three subsequent decades (with the White Sox in 1980, and with the independent St. Paul Saints in 1993 and 2003), becoming baseball&apos;s first seven-decade professional player. Like Oliva, Miñoso also fell short in this year&apos;s Golden Era HOF voting. No one who saw "El Tiante" pitch will ever forget his seemingly endless array of windups, many of which involved the fearsomely Fu-Manchu&apos;d hurler completely turning his back on the batter. 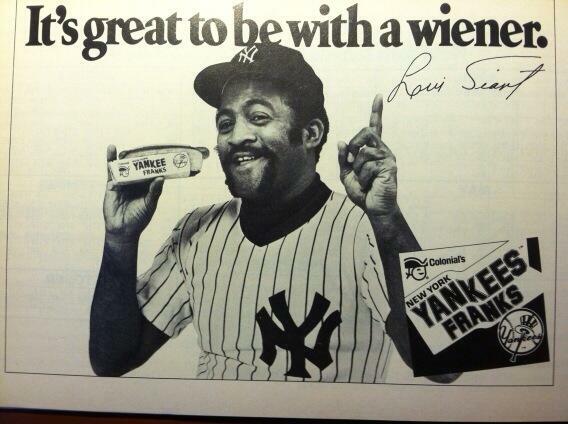 Tiant&apos;s comical ads for Yankee Franks and California Paints are also the stuff of legend, as are his penchant for sporting funky duds and for puffing cigars in the shower or whirpool tub. But Tiant was no joke to face; he twice led the AL in ERA, he won 20 games or more in four different seasons, and his career numbers – which include a record of 229-172, a 3.30 ERA, a 114 ERA+ rating, 49 shutouts and 2,416 strikeouts – match up pretty impressively with those of Hall of Famers Catfish Hunter, Jim Bunning and Don Drysdale. As with Oliva and Miñoso, El Tiante failed to make it into the Hall on this year&apos;s Golden Era ballot; what&apos;s mind-boggling is that, unlike his countrymen, Tiant couldn&apos;t even muster more than three votes from the committee&apos;s 16 panelists.